Awesome opportunity to get into this gated community in the heart of UTC-ville/University Parkway corridor. 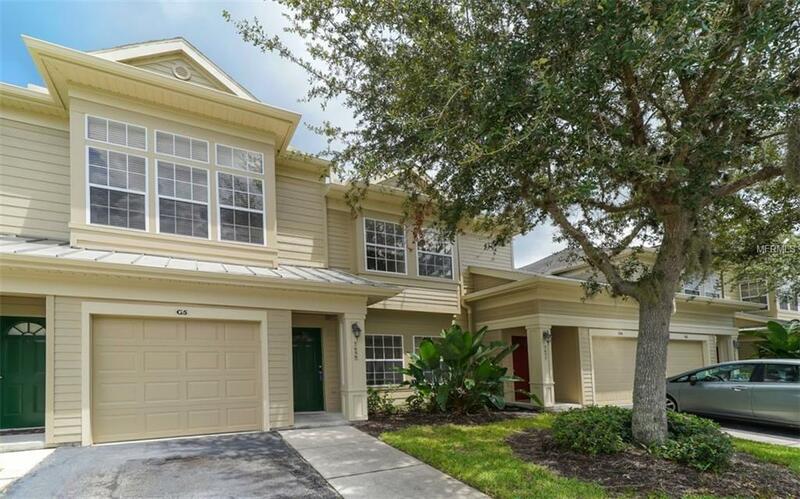 Three bedroom 2 1/2 bath coastal style townhome, freshly painted outside, low fees & maintenance free! Brand new wood look flooring in living areas and brand new carpet in all bedrooms. First floor powder room and one car garage, light wood cabinets, granite countertops, nice storage and closet space, screened lanai, for under 200 K! This community offers beautiful heated swimming pool with paver deck, exercise room, indoor gathering facilities, walking trail around lake with lit fountains, playground, a grade school district! Amazing location close to all the shopping, dining, Whole Foods, Starbucks, DT SRQ, beaches, 75, the mall & more! AHS Home Warranty provided for one year.